Have a beach wedding that all of your friends and family remember when everyone is dressed up in one of these Irish white linen casual sets by Prestige. Beach weddings are becoming more and more popular for one reason, fun. In order to dress the part right, a white linen casual set for men is key for all folks involved. 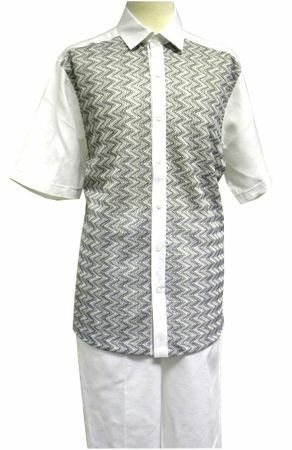 This white linen casual set features a zigzag woven front shirt, and pleated pants. Made of fine Irish Linen.